A selected combination of important organic minerals. 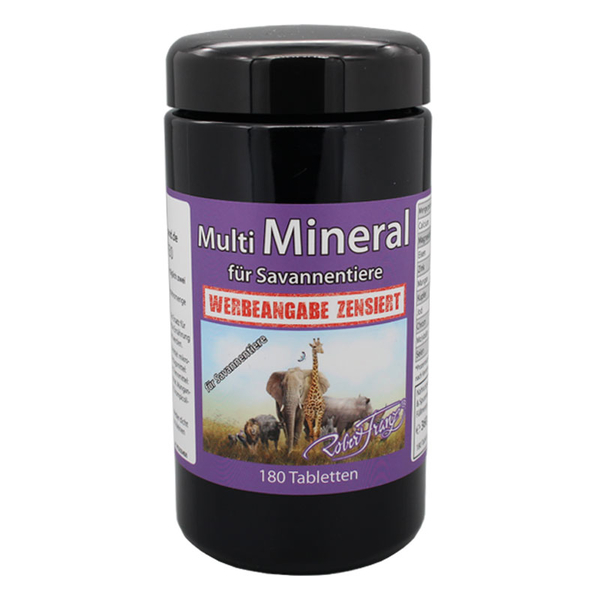 A selected combination of important organic minerals. Made with organic ingredients, care and love. Consume 1x 1 tab daily with water at a meal. 500mg calium citrate (*63%), 250mg magnesium citrate (*66%), 45mg potassium citrate (*2.25%), 18mg iron fumarate (*128%), 15mg zinc citrate (*150%), 4mg manganese gluconate (*200%), 2mg copper gluconate (*200%), 70ug selenium methionine (*125%), 120ug chromium picolinate (*300%), 225ug iodine potassium iodide (*150%), 75ug molybdenum (*150%). *NRV = percentage of recommended daily dosage according to Regulation (EU) No. 1169/2011. Calium citrate, magnesium citrate, rice starch, cellulose, potassium citrate, iron fumarate, vegetable magnesium stearate, zinc manganese gluconate, copper gluconate, citrate, selenium methionine, chromium picolinate, potassium iodide, sodium molybdate molybdenum coating: HPMC cellulose.